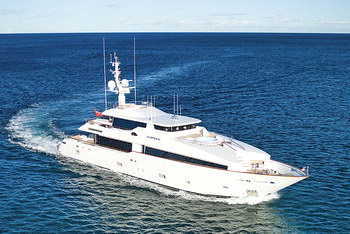 Captain Australian registered commercial vessels less than 24m in Australia's Exclusive Economic Zone (200nm offshore). The MAR30918 Certificate III in Maritime Operations (Master up to 24m Near Coastal) (Master Class 5) training program will enable you to apply for an AMSA Master less than 24m Near Coastal (NC) Certificate of Competency that will allow you to work as crew or a Captain on Australian Registered commercial vessels less than 24m long, operating in the Australian Exclusive Economic Zone (EEZ). Australia has changed from state-based certification to National Certification. The previous certifications Master Class 5, Skipper Grade 3, Master Class V (Trading), Master Class V (Fishing) and Master Class 5 (Trading and Fishing) now all come under the qualification of Master less than 24m Near Coastal in the national system. Every commercial vessel licensed to operate in Australian waters needs the ‘skipper’ or person in charge to hold a Certificate of Competency issued by Australian Maritime Safety Authority (AMSA). The Master up to 24 m NC course at Superyacht Crew Academy provides the required theory and practical training to complete all the units for the Maritime Training Package MAR30918 - Certificate III in Maritime Operations (Master up to 24 metres Near Coastal). In addition to the theory and practical training provided in the Superyacht Crew Academy for MAR30918 - Certificate III in Maritime Operations (Master up to 24 metres Near Coastal), applicants must log a number of hours working on vessels at sea and keep a log book recording each voyage. MAR30918 Certificate III in Maritime Operations (Master up to 24 Metres Near Coastal) (provided at the successful completion of the course). 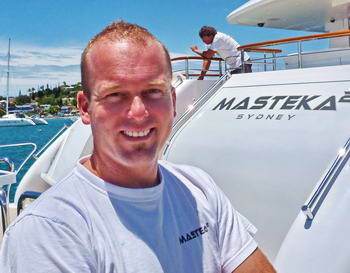 WHAT WILL THE MASTER UP TO 24M NEAR COASTAL - CERTIFICATE OF COMPETENCY ALLOW YOU TO DO? A certificate will be restricted to command a vessel only in sheltered waters if at least half of the sea service required is not seaward of sheltered waters. A certificate will be restricted to daylight hours if the person is colour vision deficient. Contact us to arrange a telephone interview to assess your prior training and experience. If you wish to proceed with the process of recognition of prior learning, you will be required to present the required documentation for review. There will be an administration fee for assessing your documentation and you may have a practical skills and knowledge assessment at an additional cost. For details on what you will need for recognition of prior learning download the Recognition of Prior Learning Handbook PDF file. If you have an IYT Master of Yachts 200T (Limited) certificate or an RYA Yachtmaster Offshore commercially endorsed certificate and are seeking the Master up to 24m Near Coastal certificate to work as commercial skippers on Australian registered vessels you can sign up for the bridging course that includes ship's construction, radar, stability and national legislation. Your Certificate (including related STCW and VHF radio) must be revalidated if they are over 5 years old. There are a total of 14 units of competency required for the issue of a Certificate III in Maritime Operations. Candidates who have already completed the current shipboard safety skill set are eligible for credit transfer or candidates who hold a valid STCW95 qualification may be eligible for recognition of prior learning. Candidates who have either completed the SSSS units already or have a valid STCW95 qualification will be exempt from Week 1 via credit transfer or recognition of prior learning. If not, Week 1 must be completed before Week 2. The course also requires you to spend time prior and during the course studying the texts and provided reading. The Course is 35 Days (6.5 weeks) Full Time or 29 Days (5.5 weeks) Full Time if you are eligible for credit transfer or recognition of prior learning. Week 1: Monday-Saturday (SSSS units & IYT STCW95 if required) – Credit transfer or recognition of learning may apply for this week 1. Please call us 02 9979 9669 to see if you are eligible for a NSW government Smart and Skilled subsidy to offset part of the cost of this training programme. All courses are recommended to be completed in order. Please choose your course so that it runs in this order: STCW95 (Week 1), Master up to 24m Near Coastal (Week 2,3 & 4), Master up to 24m Near Coastal Bridging Course Units (Week 5,6 & 7). 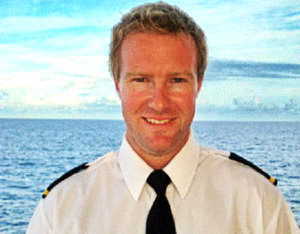 After I completed the 200T MOY offshore (limited) and Certificate III in Maritime Operations (Master 5) course with Superyacht Crew Academy in November 2010 I went overseas and worked as a Deckhand and Mate onboard superyachts in the Mediterranean and the Carribean. Since returning to Australia I have sat my orals with Maritime and now have my Master Class 5 rating and a wide range of options to continue my career in Australia and overseas.. This course is a must for anybody wanting to head overseas to work on boats or wanting a career in the commercial maritime industry in Australia. A big Thank You to my Instructors and everyone at the Superyacht Crew Academy.